Japanese historian, educator and textbook author Takashima Nobuyoshi, Professor Emeritus of the University of Ryukyus, visited the Asian Library on October 15, prior to his special lecture at the C.K.Choi Building. He made a valuable donation of 12 volumes of Nihon no ronten (Thank you for completing our collection! 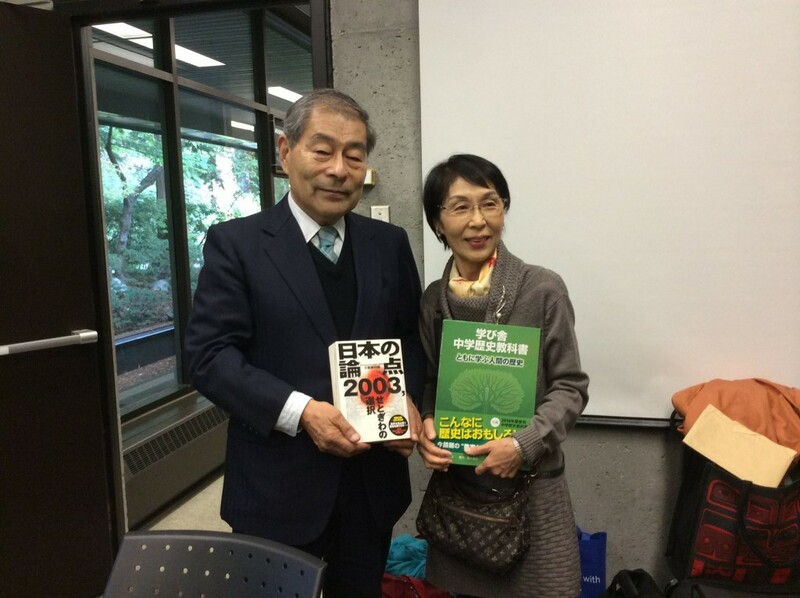 ), along with his wife (Takashima Michi)’s donation of Japan’s middle school history textbook. 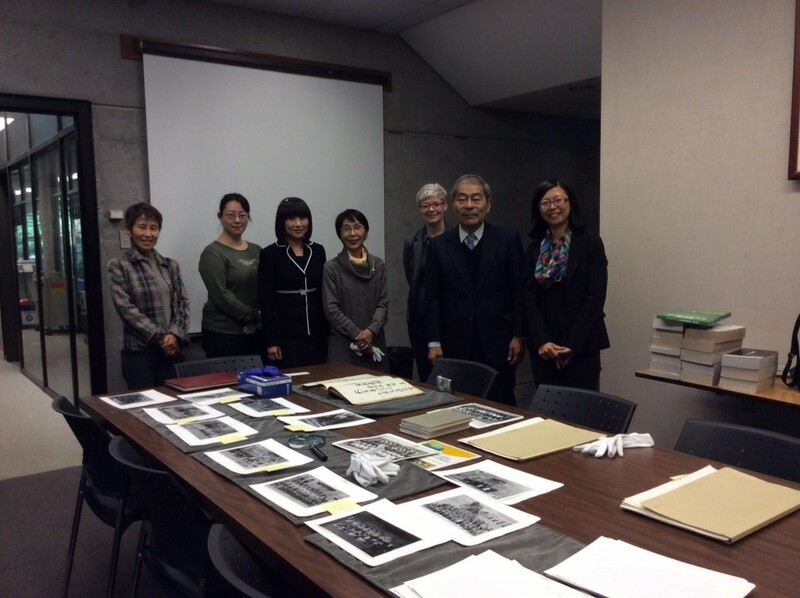 During his visit, Professor Takashima viewed the Hayashi Rintaro collection from the Japanese Canadian Research Collection stored at the UBC Rare Books and Special Collections. Mr. Hayashi Rintaro, the namesake of the collection, was a student of Professor Takashima’s father Takashima Nobutaro, who was the first principal of the Steveston Japanese School from 1911 to 1921. 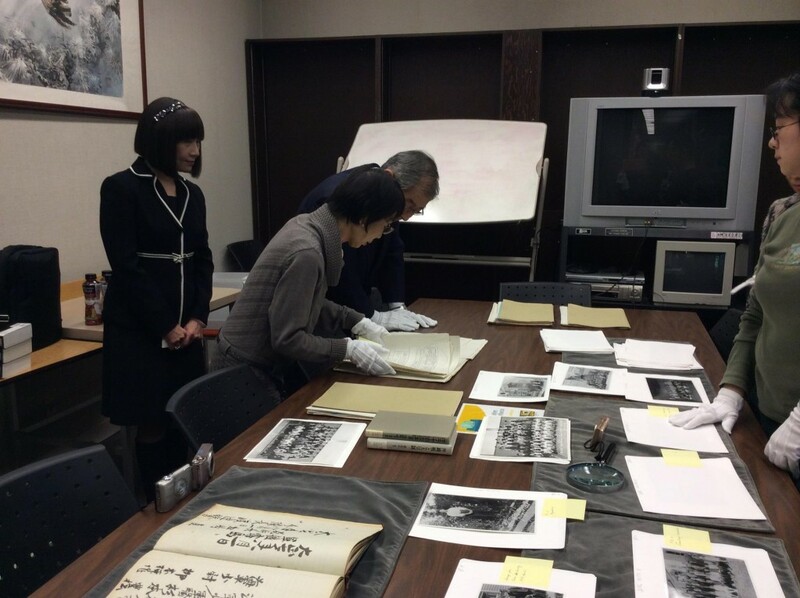 Professor Takashima was very glad to find his father among the many photographs in the Hayashi Collection.